An evolving document on the history of New Zealand telecommunications with a link through to a comprehensive documents, chronicling milestones in telecommunications , the internet and computing. We’ve come a long way from flag waving semaphore and the dot-dash-dot of Samuel Morse’s electronic forerunner of the digital age, and our first glimpse of the device that would cause its users to respond more rapidly to its shrill beckoning than to a knock at the door. In the 21st century we can't get enough of the telephone and the technologies it has spawned, from the dinky pocket cellular phone that doubles as an MP3 player, electronic diary, data repository and camera, to that most influential of all offspring, the Internet. The modern miracle of the Internet; a network of millions of intersecting networks, a ‘spider’s web’ of connections meshing the globe, crosses all time zones and political, social and geographical borders wherever there is a telecommunications infrastructure. Because of the Internet we have email, newsgroups, peer-to-peer computing, on-demand music and movie clips, electronic banking, e-government, community networks, online shopping and information at our fingertips. Social networking and blog sites enable people to share their thoughts, their hobbies and photos, showcase home movies, recommend music, films, books and ideas that can stimulate mass market shifts in perception. This transformational technology, which bridges the ‘six degrees of separation’, is instrumental in creating hit records, or turning flops into box office successes virtually overnight because people are talking to each other, not just relying on the hype from the producers of their entertainment. The Internet has come of age and its influence has hardly begun to be understood. Only 128 years ago New Zealand's rural pioneering community was getting its first glimpse of a device which would cause its users to respond more rapidly to its shrill beckoning than to a knock at the door. Mrs Sheehy of Roxburgh started our love affair in 1877, as the first kiwi to have a conversation on a private line using the new-fangled talking telegraph. No-one thought to keep a record of what she said. A century later we still can't get enough of the telephone and the technologies it has spawned, from the dinky pocket cellular phone and pager to that most influential offspring, the internet. The promise of what the future might hold has us totally sucked in to an endless upgrade path, drawn by a compelling vision of a world where bandwidth is free and we're in touch with anyone, anywhere, anytime. In its wake this revolution has left many markers to remind us how quietly it began and how rowdy things have got lately. New Zealand's first phone office opened in Port Chalmers in 1879. The first exchange in Christchurch in 1881 had 30 subscribers. Auckland followed suit with 10 subscribers. The New Zealand Post and Telegraph Department was formed to oversee the roll out of telephone lines across the country and to train telephone operators. It quickly became a state monopoly on the advice of a government official, in order to prevent the Electric Telegraph Company of Chicago, a direct antecedent of Ameritech and Bell Atlantic, opening an exchange here. Within a decade the first private automatic branch exchanges (PABX) appeared. In 1930 all the main centres had been connected and callers could pay a toll to call between cities and towns. It was official the telephone was here to stay. People were talking, not just across the back fence, but to friends, relatives and businesses across towns and cities. The news of the world was more readily available. Gossip travelled at light speed. Talking to the world On November 25th 1930 the minister of Native Affairs Sir Apirana Ngata had a chat with Australia's acting prime minister Mr Fenton, marking our first international toll call. A year later we connected to Britain - a call cost six pounds 15 shillings and there were only 312 calls in the first year. By 1939 the rates had reduced and 3,457 calls were recorded to the old country. In 1930 The NZ Post Office had 125,000 customers that had nearly tripled by 1950. By 1960 subscribers rocketed to 686,021. The user was given increasing autonomy with the shift from the old party line, operator-based system, to subscriber toll dialing (STD. Technology kept improving and by 1970 the NZPO was transmitting computer data across its network using its Datel service. With the nation criss-crossed with wire the innovators began to look skyward to satellites which were being used to link continents. The first satellite station at Warkworth opened in 1971, the year telephone users passed the million mark. New Zealand had truly entered the technology age. The New Zealand Broadcasting Service bought us one channel of TV in the early 1960s - by 1975 there were two, and with the arrival of TV3 in 1989 we finally broke away from state dominance of what we viewed. For a while there it looked like we'd get some serious pay TV competition with the arrival of Sky TV then Kiwi Cable which became Saturn and began rolling out cable and services in Wellington and Christchurch, telecom launched its own FirstMedia service and several smaller cable players joined the fray. But after Telecom pulled out and Telstra purchased Saturn and then Clear its cable subscribers were sold off to Sky and TVNZ did a deal to go digital in conjunction with Sky, Sky - now a monopoly player - became the limit. The New Zealand Post Office (NZPO) state monopoly was restructured and polished up ready for sale in 1987 and given a new lease of life as the re-branded Telecom. Our telecommunications market was the first in the world to totally deregulate in 1988. The first item on the on the agenda was to sell off Telecom to Ameritech and Bell Atlantic in 1990 for $4.25 billion. Competition wasn't too far away with the arrival of the Alternative Telephone Company which quickly became Clear Communications. It set out to establish its own infrastructure and compete in the international and national tolls market and data services. The next major competitor to appear was mobile network provider BellSouth with its GSM digital service. BellSouth was taken over by Vodafone in November 1998. Clear then became 100 per cent owned by British Telecom. Then Saturn Communication, owned by Australian company Austar made its entrance into the local market by acquiring the former Kiwi Cable company (formed in 1994) which operated on the Kapiti Coast and was making forays into the Wellington and Christchurch areas with cable TV and phone and internet services. Then at the end of 1999 Australia's dominant carrier Telstra shocked the market by entering into a partnership with Saturn, promising a $1.2 billion spend up on a nationwide broadband network covering 65 per cent of homes and 80 per cent of businesses. The renamed TelstraSaturn promised to lay fibre loops in the main business centres, wireless links to outlying regions and leverage independent local and international undersea cable with 120Gbit/sec capacity. At last it looked as though there was a formidable opponent to Telecom and that true competition would at last arrive in New Zealand. 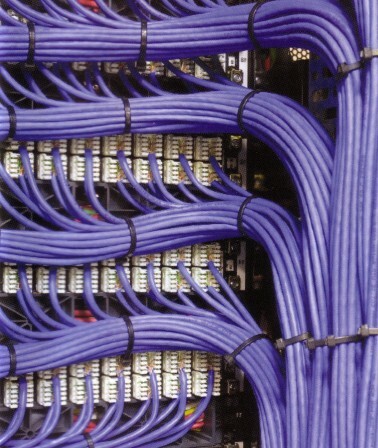 Cabling New Zealand’s most densely populated regions for data and pay TV was not a new notion. Telecom tried to lay its own hybrid-fibre coaxial cable between 1995-97 and blew close to $200 million before aborting its FirstMedia project. Termination had more to do with making the books look good before corporate raiders Ameritech and Bell Atlantic took the money and ran than claims it had found a cheaper alternative in digital subscriber line (DSL) technology. Within months DSL was relegated to fast internet, an interim solution limited by the quality of copper phone lines, distance from the exchange and electrical interference. Jetstream offers a minimum download speed of 2Mbit/sec and costs an estimated $60 a month, plus internet service provider costs. Telstra, a sleeping giant with deep pockets, however was waiting to make and even grander move as it sought to hit back at Telecom which had moved across the Tasman and acquired AAPT. In November 2001 Telstra moved to acquire Clear Communications from British Telecom creating the merger giant now known as TelstraClear. However it soon became evident the the two year long integration process of bring the company structures and the network together would not ramp up levels of competition as much as many had hoped. Hundreds of staff lost their jobs and by de facto the new entity now had a nationwide network and its previous promises of massive infrastructure roll out were significantly scaled back. There are currently about 30 competitors to Telecom in the local and international tolls market but it's a tough field with reducing margins on voice, and the internet provider market which once exceeded 100 players was also rife with acquisitions and failures. Most of the activity remained around scraping out niches in the data sector, an area Telecom has virtually corralled through its dominance over the last mile into home and business. Most competitors still had to deal with Telecom to get to the majority of their customers. In April 1989, a full 18 months after an agreement had been reached to connect New Zealand directly into the NASA gateway at Hawaii, the the ‘full wire 9.6kbit/sec analogue modem’ and router connection across the undersea link to Waikato went live. Part of the deal with NASA was that Waikato, and John Houlker in particular, would be required to be the troubleshooter if things went wrong at the NSF operations in Christchurch, which they often did. Effectively New Zealand became the first nation in Asia- Pacific to take a full link into the US internet backbone through the country's universities. Previously all links were dial-up and based on different protocols. Within five years everyone was talking about standardising on the internet protocol (IP), not only to access the burgeoning on-line world but for their own internal business communications. IP became the glue to bring together the networks of the world and to open the door for another powerful economic force with the same acronym, intellectual property. The internet is where all the action is and everyone wants a slice of it including the bulletin board services who gradually morph into Internet service providers first at Victoria University and then in other parts of the country. There's a feeding frenzy as key players buy-up or partner with smaller service provision and web development firms and acquire payment system technology ready to get serious with e-commerce. Telecom and TelstraClear still having the strongest presence, alongside other first tier players including satellite operator Ihug and another pioneering firm Iconz, both of which undergo restructuring and changes of ownership ownership over several years. Telecom and Clear initially don't want anything to do with the Internet but once they realise that where the future is being built they can't get in quick enough. Telecom in particular jumps in boots and all with grand schemes discounting its way into the front before it realises it needs to upgrade its entire infrastructure to cope with all the traffic. it them blames everyone else for putting pressure on its network. Significant upgrades tare made to Clear and Telecom's fibre optic networks across both islands with rings around the central business districts. The overlay for both is now capable of gigabit per second throughput. However providing high speed data services into residential communities is an idea who's time has not yet come. Telecom launched ISDN (integrated services digital network) in 1992 to speed up data over the phones lines but it remained expensive. Saturn got it right in Wellington bringing real competition to local subscribers across the range of services. It planned to keep rolling into Christchurch and Auckland but the acquisition by Telstra and then Telstra's acquisition of Clear Communications resulted in serious curbing of that plan. When Telecom pulled the plug on its First Media hybrid fibre coaxial project it claimed it had found a less expensive technology in ADSL (asymmetrical digital subscriber line) technology which would use the copper cable to send not only data but movies. It soon became evident that the copper infrastructure was far from suitable for the pay TV service Telecom had planned so . The newly branded Jetstream service would instead be for fast internet only. Another rival for fast internet was the Starnet service from Ihug which leases satellite space and splits it up to sell to its local internet customers and 100 internet providers in Australia. The family firm was first to offer flat rate internet. The rest of the market caught up in 1999 resulting in a price war before Telecom stepped in and forced them all to shift to a new prefix for fear its own network couldn't cope with the growing demand. Telecom invested in the PacRim and the Tasman 2 undersea fibre optic cables circling the Pacific. The light speed cables went live progressively between 1992-94 but within three years they were booked up. We were told the latest local multi-point distribution services (LMDS) wireless technology using the 26-28GHz range could provide relief for high speed data, television and voice communications needs. Millions of dollars were invested but it was soon relegated to back and short haul backbone technology for TelstraClear. The $2.5 billion plus Southern Cross undersea cable went live in 2000. The initiative 50 percent owned by Telecom, provided 120 gigabits capacity cable linking Sydney to Muriwai and Takapuna on to Hawaii. within a year more capacity had to be opened up and that too was booked up. The trend continued with further upgrades necessary in succeeding years to cope with the international data demand. New Zealand's demand for faster access to the Internet and all the applications and services continues to remain unrequited. Roadworks on all attempts to improve our on-ramp to the mythical information superhighway remain at a critical stage. Now the talk is that we all need to be connected by between 10-20Mbit/sec speeds by 2010 - a tall task when you consider most of us are lucky to get 2-3Mbit/sec and half of us are still on dial up. Nevertheless the futurists and industry researchers are saying that 100Mbit/sec over fibre into our homes is the next big step if New Zealand is to gain any traction in the OECD top 30 and not slip further back into the compost heap where we've been heading for the past decade. The race is on for our economic survival and advancement as a literate and technically capable nation. In expectation that the bottlenecks will be unplugged, creative kiwis ought to polish up their marketing skills, finish beta testing the new software, spruce up the web site and jump on the e-commerce train. With over 100-years of innovation behind us it's now up to a visionary government, in partnership with knowledge economy businesses, to ensure 'New Zealand on the edge' and 'first to the future' become more than empty tourist slogans. or read the technology news section for the ever unfolding history of telecommunications in New Zealand.